How to create a business card with a QR code? 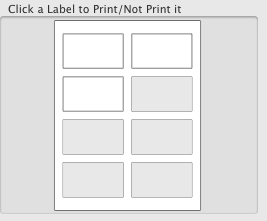 How can I print only three of eight cards? 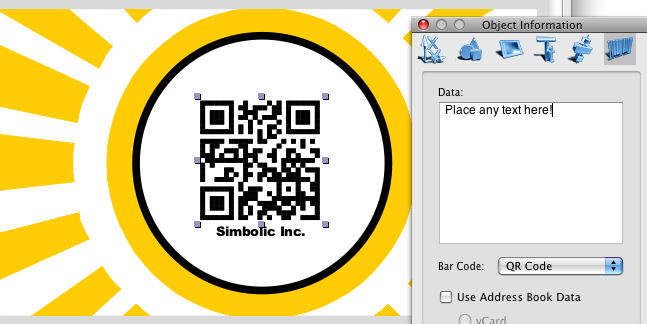 The Home Business card makes it easy to create business cards with QR Codes. You can either use the barcode tool to place the code to the card, or open a pre-made design from 'qr codes' design category. Double click on the QR Code, and type in the necessary data to the Object Information panel. Use the Label format preview on the bottom left of the Home Business Card window. Clicking on a card in the preview excludes it from printing. 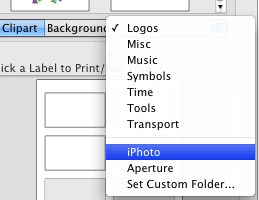 Switch to the Images tab on the left of the window, then select 'iPhoto' from the Categories popup. 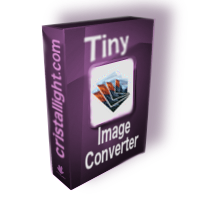 Home Business Card will import your iPhoto images.